Shelly (Morgan) Rock graduated from the University of Oklahoma Physician Assistant Program with distinction in 1994. 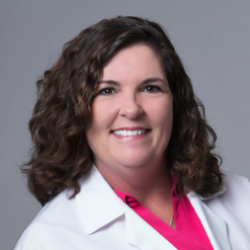 She has spent the last 24 years enjoying her career as a PA. She has experience in Family Practice, Emergency and Urgent care medicine, Pediatrics, Allergy & Asthma and Women’s Health. She moved to the Houston area in 2014 and is excited to be able to help her community with their allergy and sinus problems so they can enjoy life to the fullest.